BROOKLYN — After several summers of renting a Maine cabin, Park Sloper Sam Marks wanted something closer to home, with a built-in community for his young kids. The family bought a bungalow last fall, paying something in the "low five figures," at Spring Glen Woods, in Ellenville, a Catskills town that's a two-hour drive from Brooklyn. New York City residents own 20 of the 21 bungalows at the co-operatively run community, which includes a swimming pool and other shared facilities. "It was super cheap compared to the typical real estate numbers we are used to as New Yorkers," said Marks, 41, a foundation program officer and dad to a 5-month-old son and a 2-year-old son. As the summer comes to a close, now's the time to start looking for a cottage, bungalow or beach house for next season, brokers said. One could start in the Hamptons, where Douglas Elliman recently reported that housing prices were hovering at an average of $1.54 million. But those on a more modest budget may do well to focus on the Catskills and the Rockaways. "Owners tend to start the season [in June] demanding higher listing prices than what a lot of listing agents would advise," said Jennifer Grimes, a New York City transplant who founded Country House Realty, serving the Catskills' region of Sullivan and Ulster counties. "By August, the sellers are panicking. [Those] who really don't want to own through the winter need to sell now." Plus, it's a beautiful time of year to visit, she added. Here's a snapshot of what you can find on the market. You can buy a bungalow in the Catskills for as little as $2,000. Bungalow colonies, which had their heyday between the 1940s and 1960s, are now often run as co-ops and are attracting a new wave of city dwellers. Their modest, usually un-winterized, cabins are often clustered on a plot of land with a pool, tennis courts and other communal spaces, giving them a summer camp feel. Some, like Lansman's Bungalow Colony in Woodburne, even run camps for kids. Zoe Schneider, Spring Glen Woods's web administrator and "tour guide," said there's been an influx of new residents with kids, so there's always someone for them to play with. "The kids need little supervision and are therefore very independent, but a grownup is always close by, and we watch each other's children," said Schneider, whose co-op community has a $25,000 one-bedroom bungalow and two-bedroom for $50,000 for sale. Then when the kids go to sleep, the adults can still have fun. "We have evening campfires, and the grownups often hang out until 1 to 2 a.m. on weekends. A few people have recently been having midnight ping-pong games in the Casino — the community room, which is a glorious throwback to the '50s, complete with a stage," she said. Bungalow communities aren't for everyone, Schneider acknowledged. "But you pretty much know when you see it if you can envision yourself there." ► How to Win an Apartment Bidding War by Writing a "Love Letter"
Bungalows in the Rockaways can be had for under $30,000. There were more than 7,000 Rockaways bungalows built in the 1920s. Today fewer than 400 remain, according to the Historic Districts Council. There are three winterized bungalows on the market in the charming historic area around Beach 24rd and 25th streets, ranging from $139,000 to $197,000, according to Linda Williams, of Kline Realty. Williams bought a bungalow there five years ago, preferring her 35-minute drive with her two dogs from her Williamsburg home to the Rockaways over the 3-hour commute to her country home in Ulster County that had no cell phone service, making it untenable to get any work done. "It's a little piece of paradise," Williams said of the area. "I find my dogs are much more calm out there." Shayla Sweatt, a broker with Bond New York, recently put a bungalow on Beach 43rd Street up for auction that sold to a Brooklyn couple for $28,000. The seller, living overseas, hadn't used the place since it was boarded up post-Hurricane Sandy, Sweatt explained. The new owners always dreamed of living on the beach. 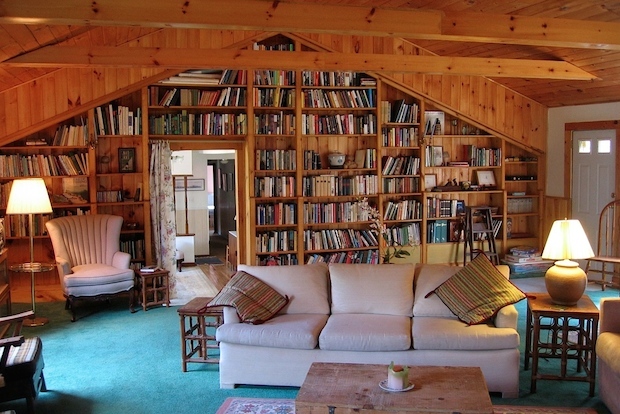 "It's a two-room wooden structure, less than 450 square feet," she said. "You could tell there was something there, but you had to put some TLC and investment into it." Catskills cottages start at $55,000. For bargain hunters willing to finish a partial renovation, there's a 924-square-foot two-bedroom cottage on 1.86 acres with a pond near in Claryville for $55,000, Grimes, of Country House, said. "Sullivan County [where this home is] is the last frontier, particularly if you value land," Grimes said. "What you may give up are some things that some people don't prioritize, like having a Starbucks nearby. Sullivan county is not as developed. On the flip side, it's not as gentrified or manicured as places like Woodstock [which is in Ulster County]." The area — roughly 2.5 hours from New York City — also has a lot of water, whether it's lakes, ponds, creeks or streams, she added. "If there's no water on your property, there's probably a swimming hole nearby." But a good chunk of the inventory needs renovation, especially for homes under $125,000, noted Grimes, who also has turnkey properties like a one-bedroom on 1.74 acres near a reservoir in Napanoch, for $179,000. "The New York City market generally wants sleek and modern with good light and lots of windows or they want charming and rustic. What they're not excited about is cookie cutter with vinyl siding," said Grimes. Several of Grimes' city clients help cover their costs by renting out their homes through her vacation rental company Red Cottage Inc., which brings in roughly $15,000 to $40,000 a year for owners. "We take care of all the grunt work," she said. "That can be a way of covering your expenses. But you have to be comfortable with the fact that strangers are going to be in your bed and putting the spatula in the wrong drawer."